Podcasts appear to be taking the digital world by a storm right now. I saw a tweet somewhere that ‘let’s start a podcast together’ is this generation’s equivalent to the 00s ‘let’s start a band’ and OMG it’s true. I may have uttered these words to my flatmate but since neither of us have done anything about it since, I don’t think it’ll be happening anytime soon. But I’m not complaining about the influx of podcasts because I love them. Listening to a soundtrack of episodes from my favourite shows is what is getting me through long days in front of my laptop screen or when I’m rushing through household chores. There is something for everyone in the podcast world as there so. many. podcasts. out there and I’m here to share some of my faves with you. The title of my favourite podcast of all time goes to Casefile. It is an Australian true crime series hosted by ‘Anonymous Host’ which covers a whole host of solved and cold cases from Australia, the US and more. It is so interesting, a bit terryfing in some parts due to the gruesome details of what is being talked about and I love the way it is delivered to the audience – kind of like a lecture. I know that doesn’t sound overly exciting but I promise you will be hooked after listening to one episode of Casefile. If you are nosy AF like me you will love At Home With. Each episode hosts Anna Newton and Lily Pebbles interview an inspirational woman in her own home to learn more about her personal space, her career and her life. I found it so inspiring to hear personal stories from women I view as role models and to hear their beautiful homes described so eloquently by Anna and Lily. The second series is currently being recorded with Tanya Burr and Erica Davies as two of the guests which I am SO excited about. Currently Goal Digger is my most listened to podcast and I rarely go a day without tuning into an episode. Hosted by the incredible Jenna Kutcher who left the fast-paced world of PR to start a photography business, she is now also a creative coach and blogger. 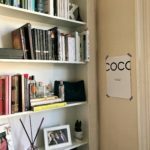 This podcast came across my radar when one of my favourite bloggers Victoria of Apartment Number 4 tweeted about it and I haven’t looked back. 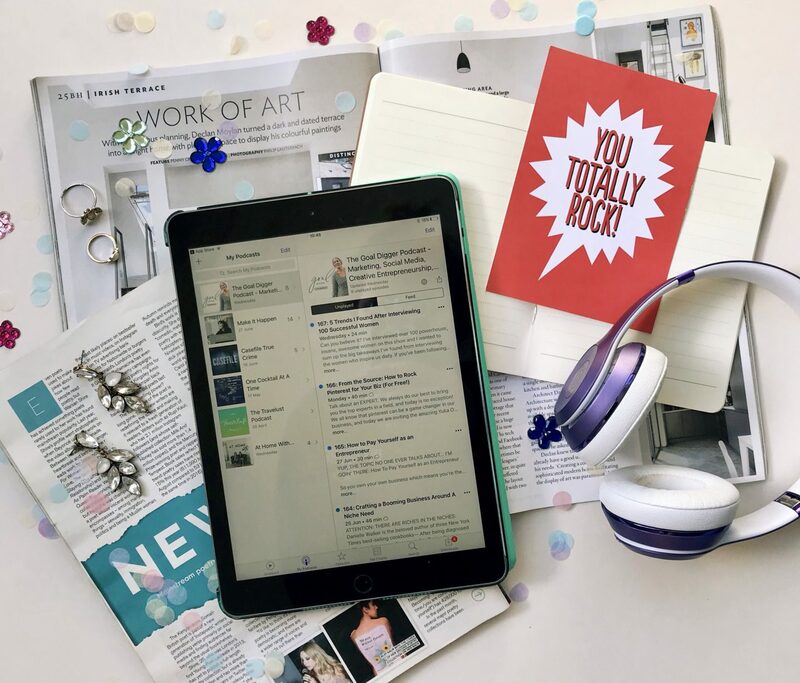 It is super inspiring to listen to if you are interested in a creative career and I love listening to episodes when I’m brainstorming for my blog or writing up posts. It just fills me with inspiration and a go-getter attitude. 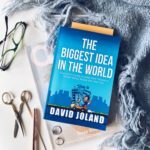 It has really pushed me to think outside the box, consider resources I hadn’t thought about before and jot down all the dreams I want to materialise. Jenna and her guest on each episode often collaborate on a resource which is available for download as well which is super helpful and some episodes are listen-ins of one-on-one creative coaching which is so interesting. Ah Sam, is there anything she does that I don’t love? Probably not. When I realised that as well as writing her amazing travel blog As The Sparrow Flies Sam also hosts a travel podcast called The Travelust I was SO excited. Travel is something I’m really excited about again after a slightly rocky 2017 and listening to other people’s adventures is fuelling my wanderlust. Sam chats to a different guest each week as they share their own travel adventures, tips and advice. She Did What? is the most recent addition to my podcast roster and five episodes in, I’m into it. Hosted by Vix Meldrew, whose self-titled blog is one of my favourite to read at the moment, it is all about women doing all the things. She chats with a different guest each week to discuss their career, important women in their life, female-related headlines from around the world that week and historical female figures that we can all learn something from. 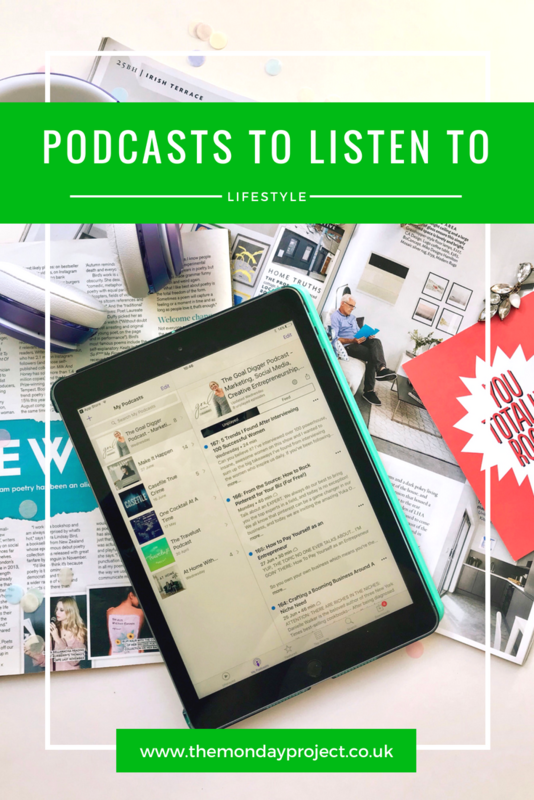 I read a fabulous post by Charlotte when I was feeling really down in the dumps about being creative and blogging which was all about podcasts for bloggers and the one which most caught my eye was Make It Happen. It is hosted by Jen Carrington who is a creative coach amongst many other wonderful things and she either chats solo about how to live & work creatively or she meets with a guest to discuss their creative life. I found it so inspiring to listen to at a time when I really needed something like this in my life and I’m so stoked there are six whole seasons for me to discover – including a Laura Jane Williams episode. And I do love LJW. My favourite episodes tend to be those with guests rather than just Jen by herself but that is purely because they tend to be longer and my ideal podcast length is around 40 minutes to an hour. And that’s a wrap! If you have know of any amazing podcasts that I need to start listening to please let me know.